Stay tuned, The Bandstand line-up is coming soon! Feel like having a real good boogie? Then head to The Bandstand for our ultimate kids disco! Join in for a couple of hours of serious pop hits, facepainting and silliness galore! One for all the family and not to be missed. 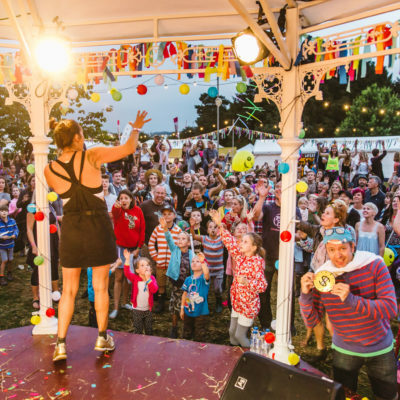 The Bandstand returns to showcase all things fun, silly and a little off-beat combining music, singalongs and dance offs to keep you entertained with lots of opportunities for you to get up off those straw bales and boogie! Acoustic artists will start each day and we are lucky enough to have new and returning artists with us, along with our family daytime dance party to get you moving and shaking.